I love Venice, Italy, with the uniqueness of its watery corridors lined with incredible architecture steeped with history. 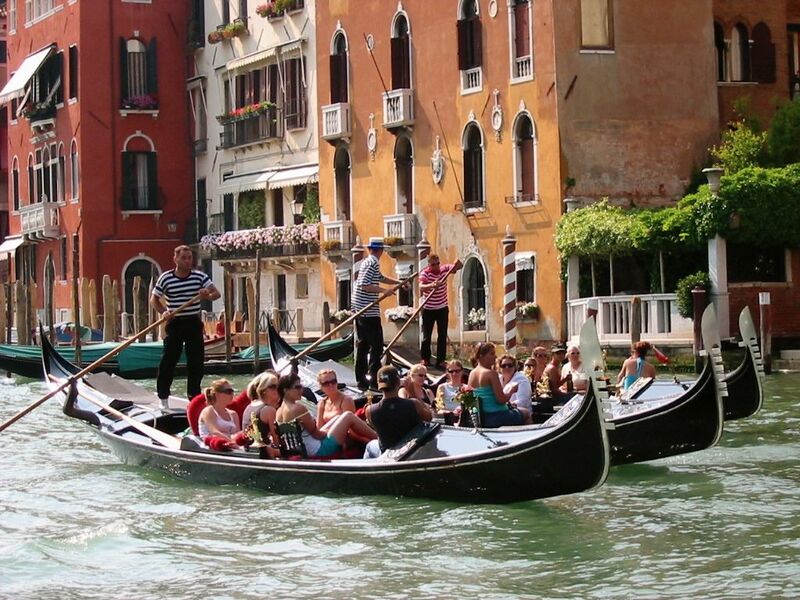 Who can resist the opportunity of romantically drifting by the Piazza San Marco in a gondola with a loved one, while the striped-shirted piloto regales you with an original version of the Neapolitan classic, O sole mia. Ah, Venice. Yep. I love Venice; or actually I guess I should say I love the idea of Venice. I’ve never actually been to Venice, unless you count watching somebody else’s YouTube clip from their vacation of them drifting romantically along Venice’s watery corridors listening to a piloto regale them with O sole mia. But I have been to Oxford, England. And I have drifted along the River Cherwell. However, there were no Rudolph Valentino looking dudes in striped shirts with voices like Pavarotti serenading us with O sole mia, or any other song. There was no Piazza and no gondolas. There were, however, a number of misdirections that ended with the bow of the punt – or flat-bottom boat propelled by a long pole (operated by yours truly) – ramming the narrow river’s bank like an ill-fated beach landing. There was also the pole getting hung in low hanging trees or stuck in the gray, oozy mud – or both. Instead of the lilting sounds of a perfect tenor, my family nearly got the incoherent rantings of a West Tennessean. I would have snapped the pole across my knee in a fit of frustrated rage, but where do you snap a 16-foot pole? And even if I’d figured that out I’m reasonably certain the thick aluminum would not have yielded to my belligerence. But it wasn’t supposed to be this way. When a friend (yes, she’s still a friend – mostly) recommended we give it a try it sounded like a good idea. And once I read the description on the Website it was an absolute must do. 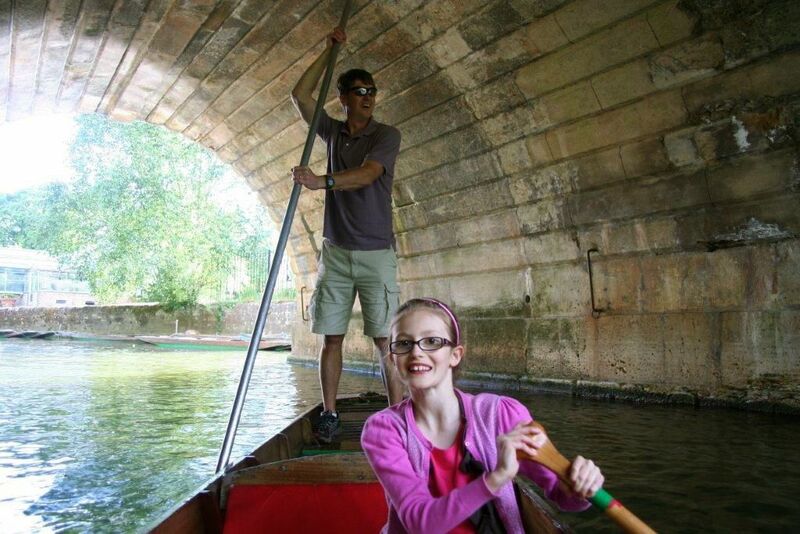 At Magdalen Bridge Boathouse you have the opportunity to spend the day enjoying the beautiful River Cherwell as it passes historic oxford colleges, the botanic gardens and tranquil English countryside. Set off from the boathouse and glide past the famous Botanic Gardens. Drift quietly through Christ Church Meadows, where Lewis Carroll was inspired to write Alice Through the Looking Glass. Pass St Hilda’s College gardens, Magdalen College Tower, traveling through English countryside down to the river Thames. Now do you see from whence came visions of Venice – UK style? The exception being that I half expected to see Cheshire Cat grinning from the river bank, or when asking which direction I was to navigate, having the King of Hearts tell me, “Begin at the beginning and go on till you come to the end: then stop.” But it wasn’t like that at all. I banged us under the bridge, against parked punts and into others who were no more qualified than I to punt; and some who I felt reasonably sure could very well have been chasing Jefferson Airplane’s White Rabbit instead of Lewis Carroll’s. Once clear of all obstacles other than the persistent river bank which kept navigating itself directly at the punt’s bow, I propelled our boat (sort of) forward with confident uncertainty. My daughter wanted to help, so she floated a dwarfed-size paddle through the current in the water alongside. Of course I did what any self-respecting man would do: I blamed our constant misdirection on her paddle serving as a rudder forcing us to the river’s edge (Totally absurd, I know, but since I’ve already invoked the absurdity of Lewis Carroll I feel I can throw myself on the absurdity of absurdity to rescue even a shred of seamanship here). At $26/30 minutes, a brief glance at my watch solidified my mission: circumnavigate the small island in the river and return the boat within the 30 minutes to limit the financial disaster meandering and unscheduled beach landings would cause. Okay, so maybe that could bring me back, I thought; and let’s face it, the girls had fun despite my constant mumbling. But, the truth? I’ll take a punt on punting. Next time I think we’d try the paddle boats. 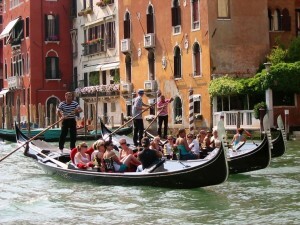 Or better yet, just go to Venice and let the Valentino-Pavarotti dudes do all the rowing and singing. the guy’s a hero in my book! I felt like I was there with you. You certainly haven’t lost any of your great writing ability! So glad you got to go there. Our first time out after both getting kayaks, Tim and I each ended up pinned against a bank covered with poison ivy where someone had just spotted a snake — and sometime during our expedition we were each baptized. I think you did great – and such a lovely gift for your girls!